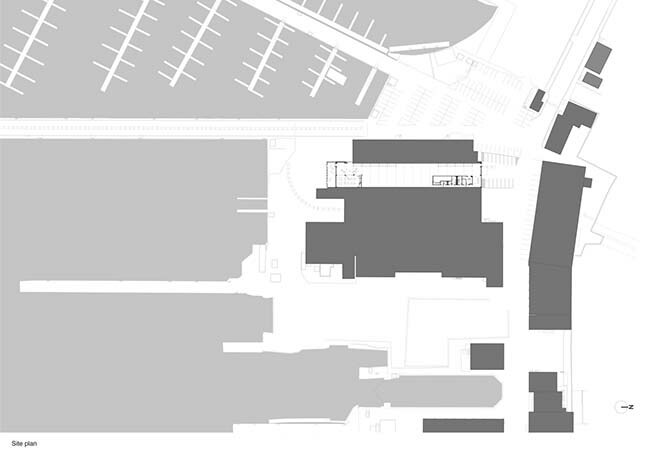 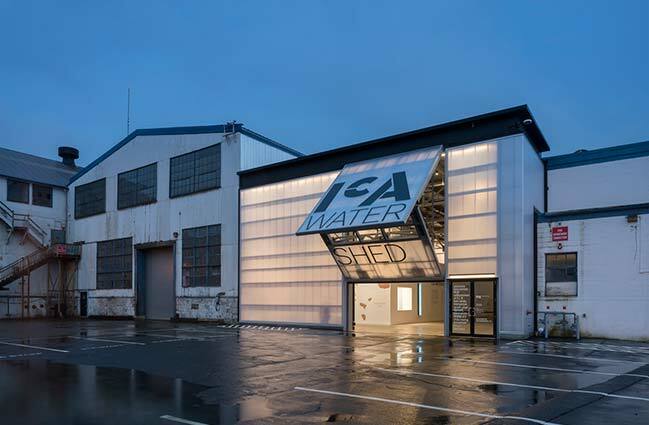 The ICA Watershed is a large-scale space for contemporary art, located in an abandoned copper pipe factory. 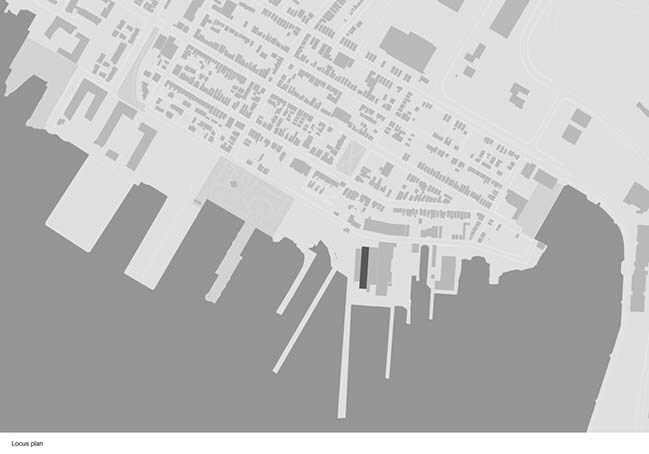 Its site is known as the East Boston Shipyard, an active, industrial yacht basin directly across Boston Harbor from the ICA Museum, accessible by water taxi, car, and public transportation. 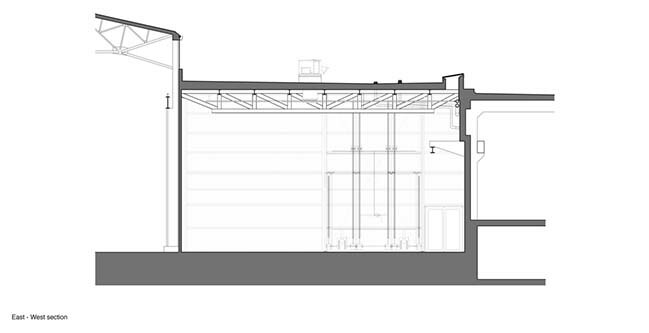 MEP Engineer: SED Associates Corp. 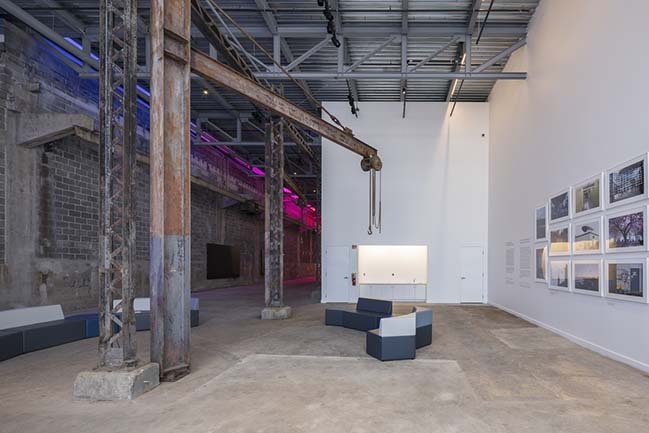 Lighting Consultant: Lam Partners Inc.
From the architect: Although the Watershed’s original antique structure was derelict and had to be torn down, several of its iconic elements—crane and monorail hoists, railroad tracks—have been retained, used to reference the site’s purpose and help shape the space. 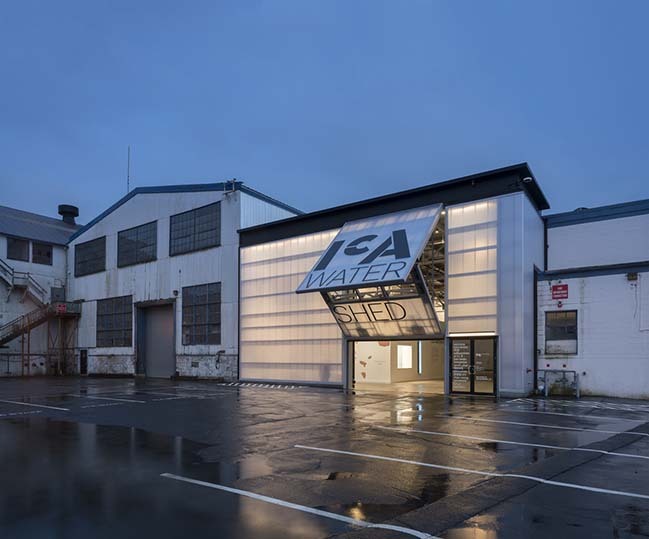 Within the 300’ long by 50’ wide by 25’ tall envelope, the design synthesizes the retained infrastructure with equally powerful, new industrial materials, to serve the ICA program for contemporary art. 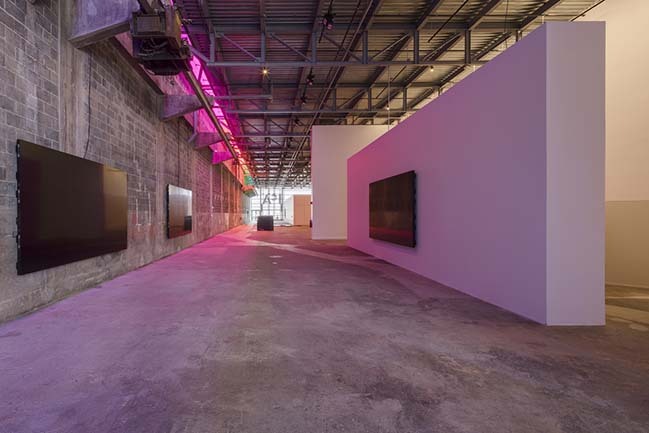 Breaking with the customary “white room / black box” gallery paradigm, daylight plays a seminal role in the space, illuminating a major wall and highlighting both ends of the building. 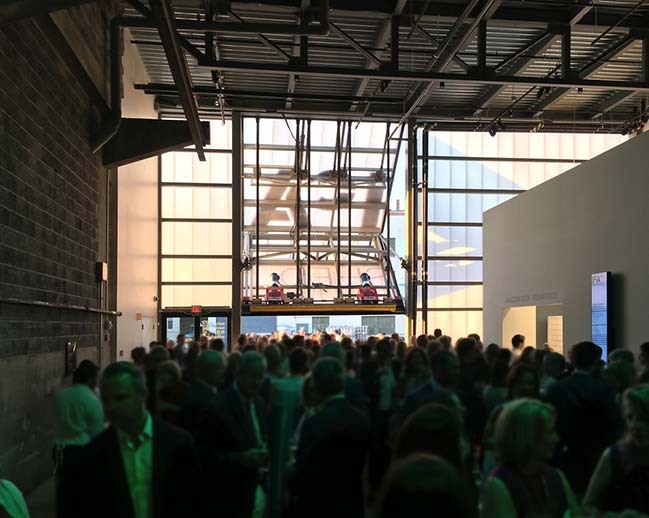 A 250’ long slot skylight shines through new steel trusses, allowing light to wash down the richly textured concrete-and-cinderblock surface of an existing wall that had once supported the loading and unloading of rail cars running through the building. 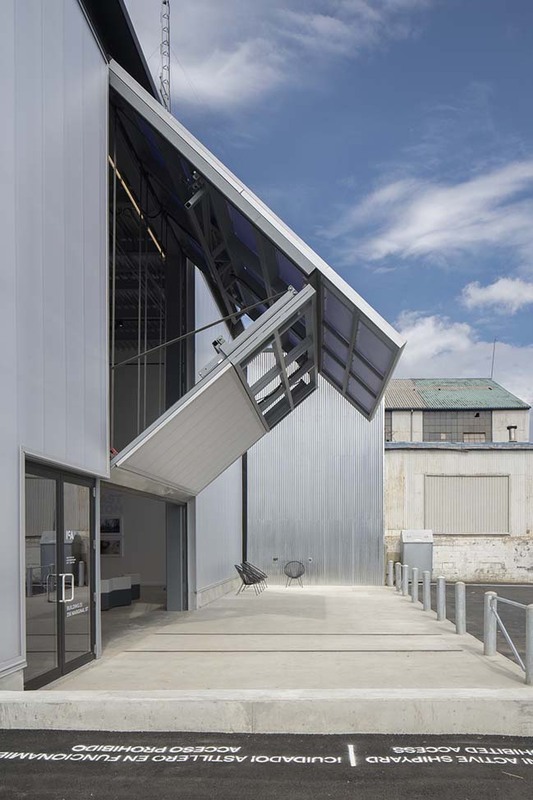 A translucent polycarbonate skin clads the steel frames of the building’s two end walls. 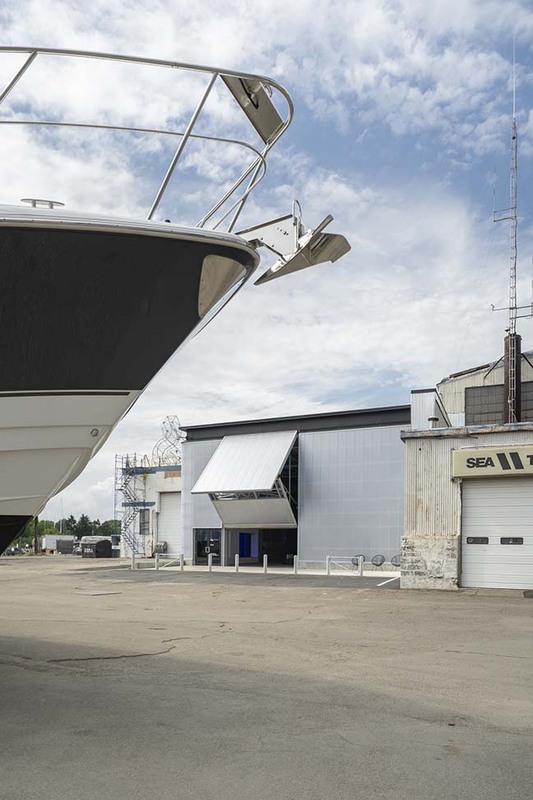 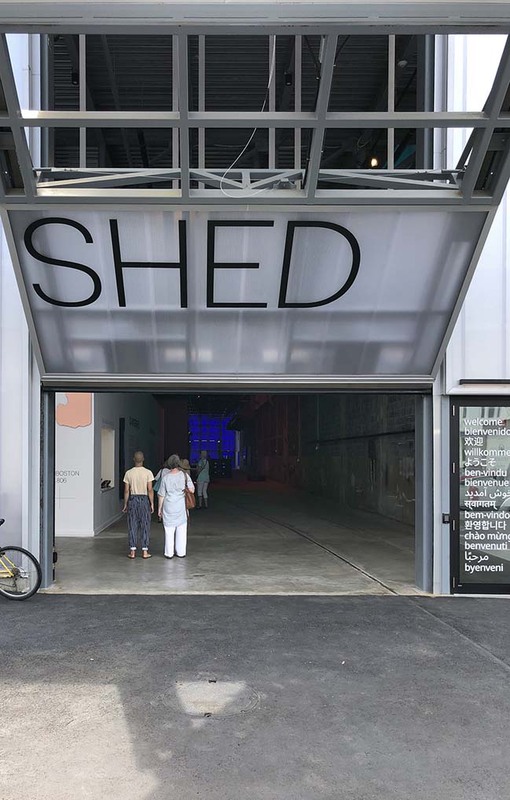 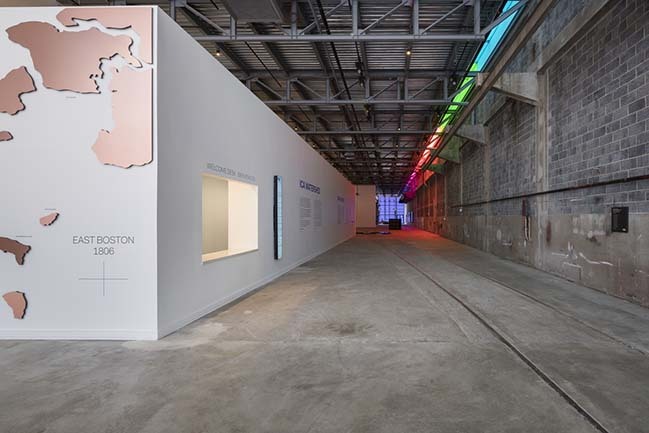 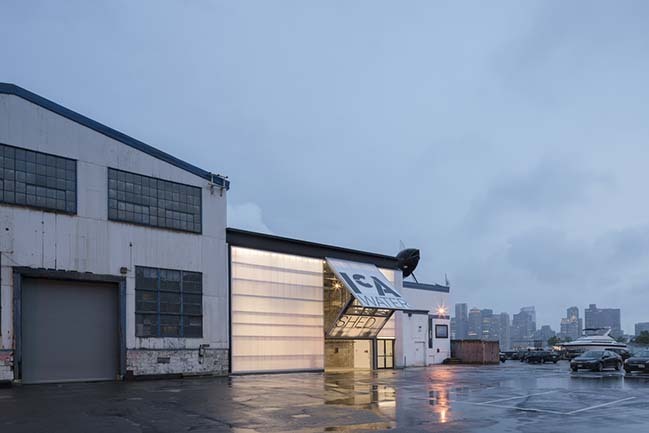 Each is punctuated by a monumental hangar door that opens for access and loading, connecting the art space to the shipyard, the harbor, and the city. 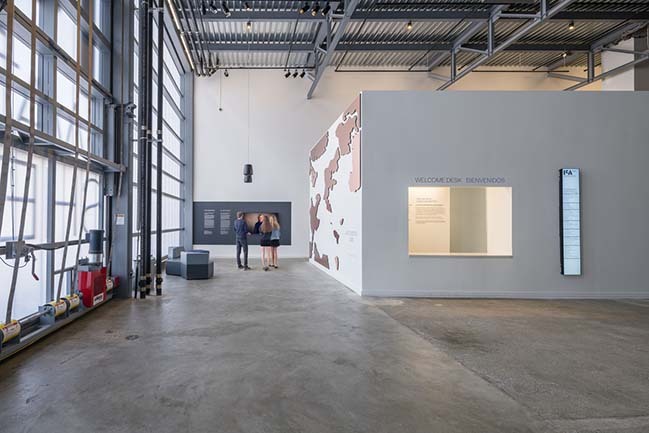 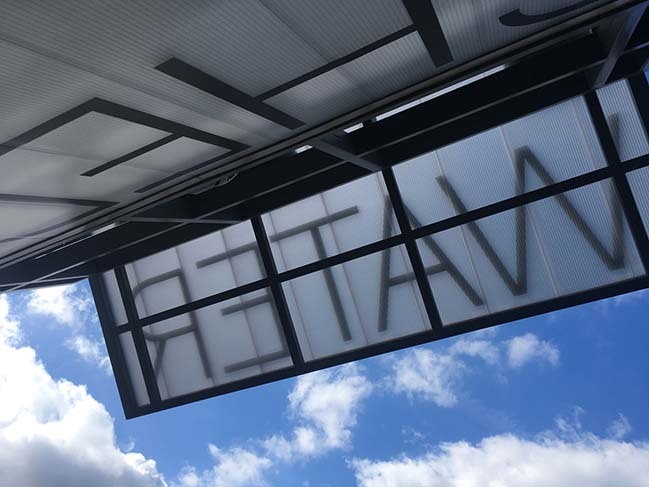 This expansive gesture invites the public to and through the building, revealing the industrial history of the East Boston Shipyard and welcoming them as participants in the Watershed’s experience.